Last fall, doctors were repairing Malala Yousafzai's shattered skull after the 15-year-old was shot in the head by the Taliban for daring to go (and talk about the importance of going) to school. Today, she's celebrating her 16th birthday at the United Nations headquarters in New York, where she will call for universal free education. Meanwhile: the Taliban is still on a mission to obliterate every girls' school it can. If you search the hashtag #MalalaDay on Twitter, you'll find A+ photos and a livestream of the teenager addressing the UN; you can also sign her birthday card. 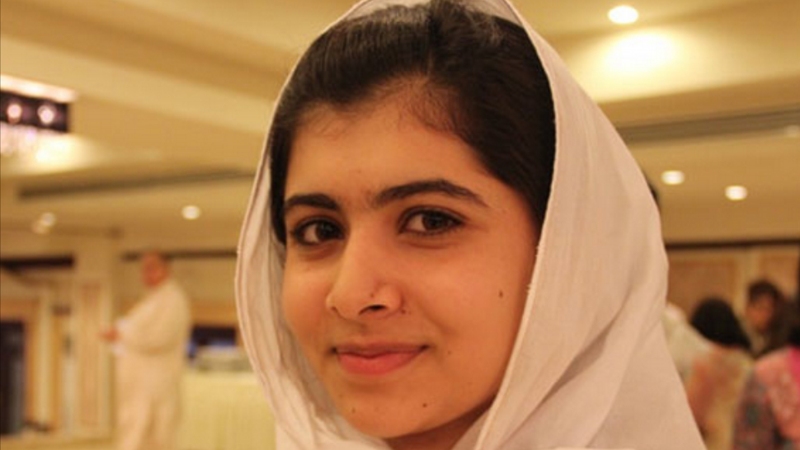 Today is Malala's first public appearance since the Taliban tried to kill her for inspiring girls to learn things. The assassination attempt only turned her into more of an international symbol; she's even been nominated for the Nobel Peace Price. Extreme measures have become necessary as Taliban militants have pressed their violent campaign against girls’ education in northwestern Pakistan, bombing schools and terrifying pupils and parents. More than 800 schools in the region have been attacked since 2009, according to government education authorities.